I would like to mention AGAIN that this party was thrown 10 years ago!! 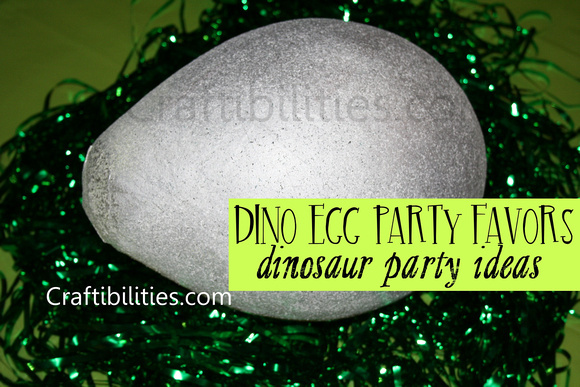 This is PART 2 for Dinosaur Party Ideas. 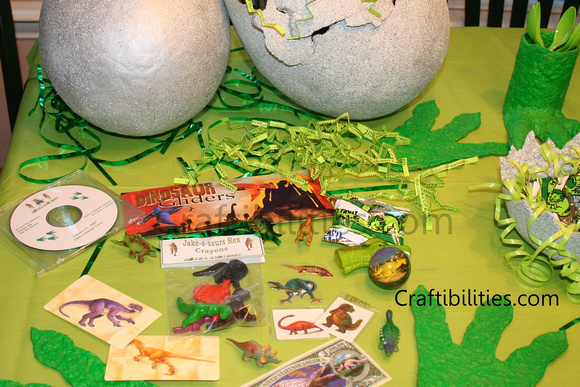 Dinosaur egg decoration or party favor????? BOTH!!!!! 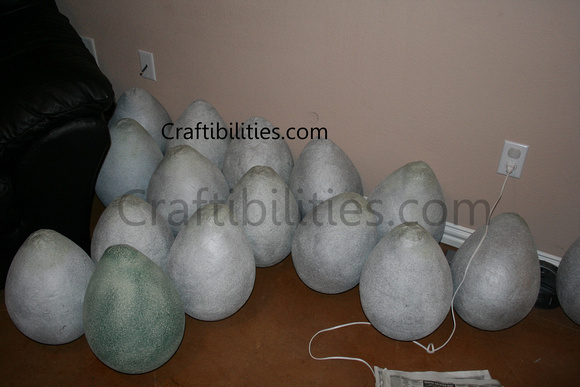 I told you I love paper mache! 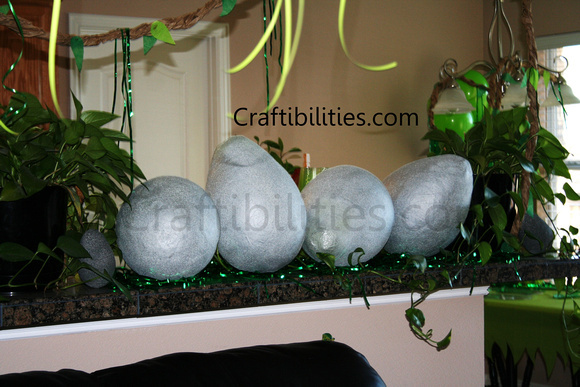 These eggs were such a fantastic idea and super inexpensive to make. They did, however, take lot and lots and lots of time and planning. 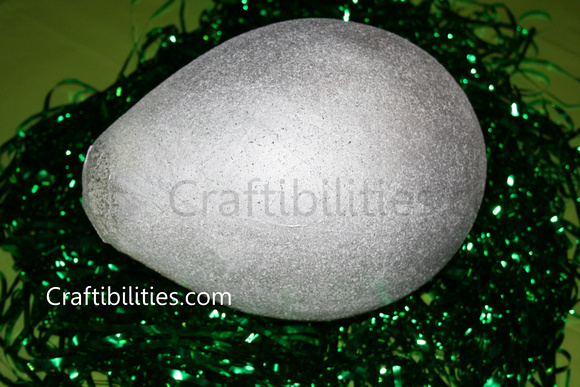 After I made the paper mache mix I blew up a balloon to a good size. 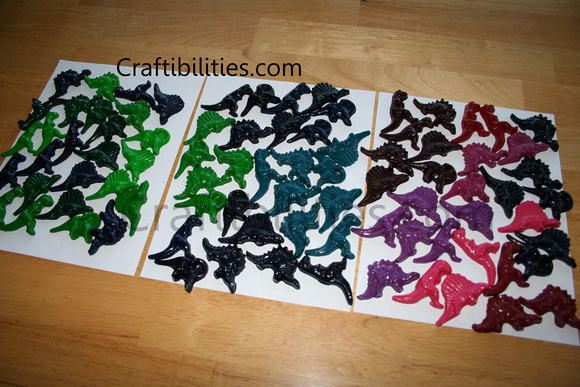 (Really just depending on how much you want to cover) I made one giant and then I wanted them to all be the same size. I cover the balloon with strips of 1" wide newspaper in different directions and over lapping. To dry I hung by the balloon end in my garage with a paper clip and hung from a shelf. It would only fit 4 eggs at a time. 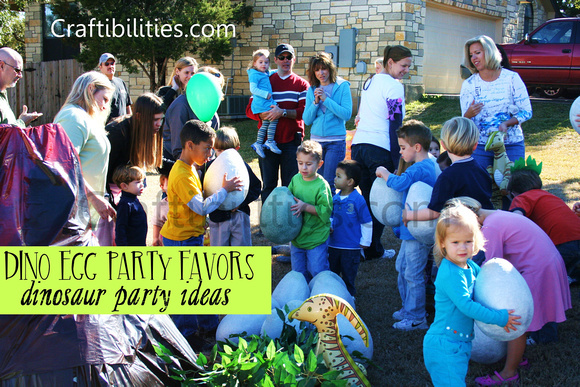 Yes, I planned forever for this party. After drying I check if there were any weak spots that might need an extra strip or two of paper and re-hung to dry. Once completely dry I spray painted them silver and used a speckled spray paint (gray, black and white) to lightly give a textured look. Then back to dry. 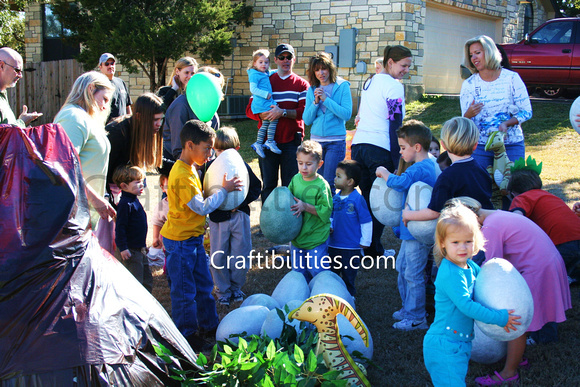 I left the balloon blow up while I completed more eggs but as the days went by the balloon would shrink putting stress on the paper mache. I would recommend popping the balloon and placing them somewhere safe since they will dent or crush easy. I ended up making 26!!! I filled with goodies and covered the hole with a piece of dry newspaper with glue on the edges (you can tell on the left side.) A little more spray paint and finished! Can you see the smaller eggs? I filled them with some beans and we played a Hot Potato type of game. 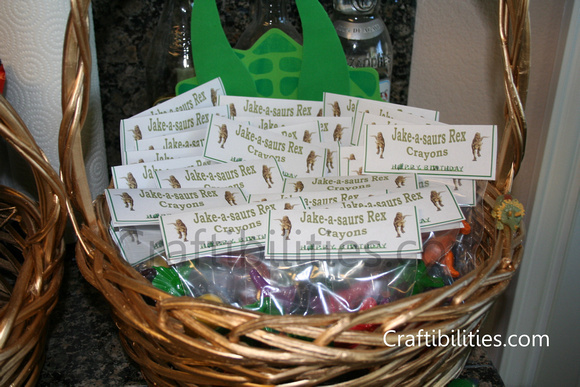 I made a few just in case a kid squeezed it really hard. They're sturdy but not that sturdy. 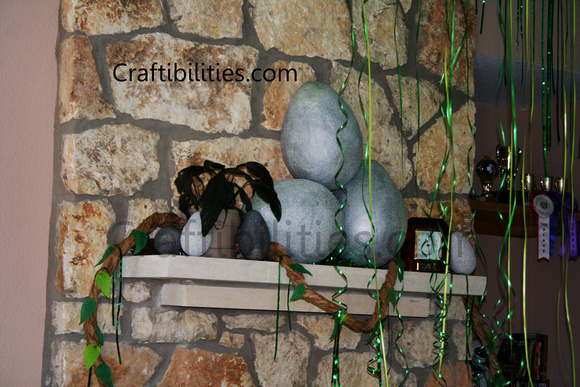 At the party all the parents and kids were obsessed with the giant eggs all over the house. After we erupted the 3ft volcano (will post soon) in the front yard I brought them all outside. The kids went crazy and the parents couldn't believe it!!!! Everyone was so impressed the decorations doubled as favor "boxes." Now, what did I fill them with???? I filled the egg with everything except the CD. It was a little too wide and I thought they were too cute not to hand out separately. I purchased it on sale throughout the year leading up to the party but now buying everything online is so much easier. 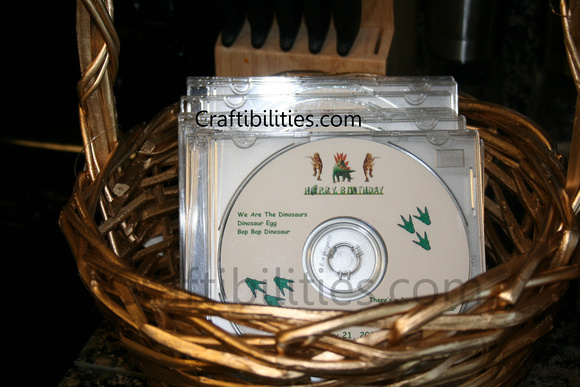 Made these CD's with dino themed music and custom label. They were really impressive 10 years ago. Now, probably not. 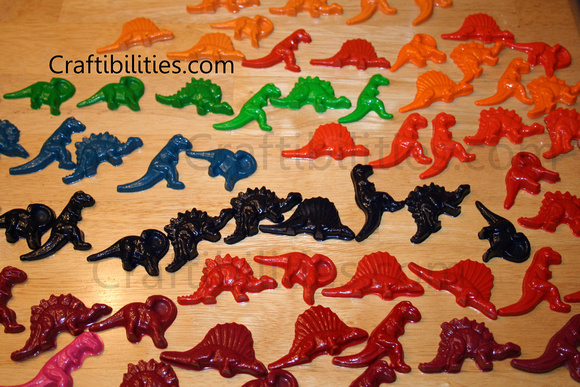 Everyone loved these dinosaur crayons. I saved all the broken crayons for about two years. FINALLY being a pack rat paid off. Lol. Separated them by similar color and melted in small batches using an old pot. Use something old because it basically ruins the pot. Start on low heat and try not to heat too fast. 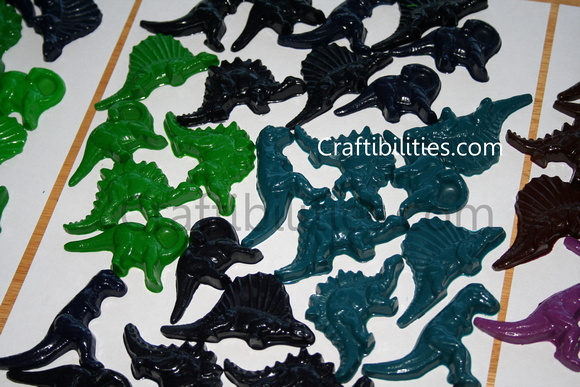 Once melted I poured into a Dinosaurs Candy Mold. I immediately put it in the freezer after filling so the heat wouldn't distort the mold. Only took a few minutes to cool. 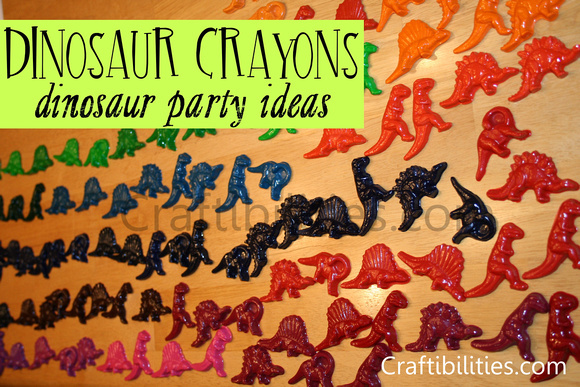 I made enough so each package of crayons had five different dinosaur colors. 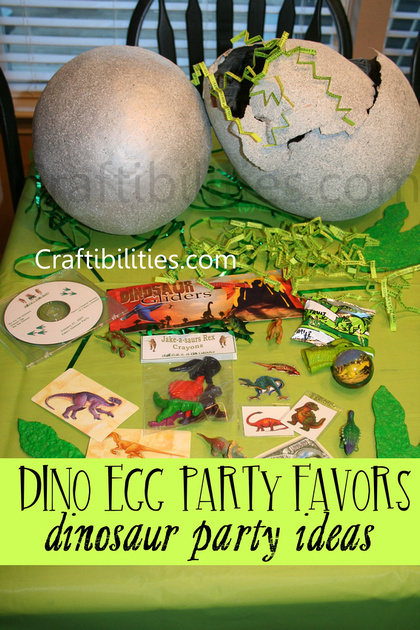 Hope you enjoy all the fun party ideas!! 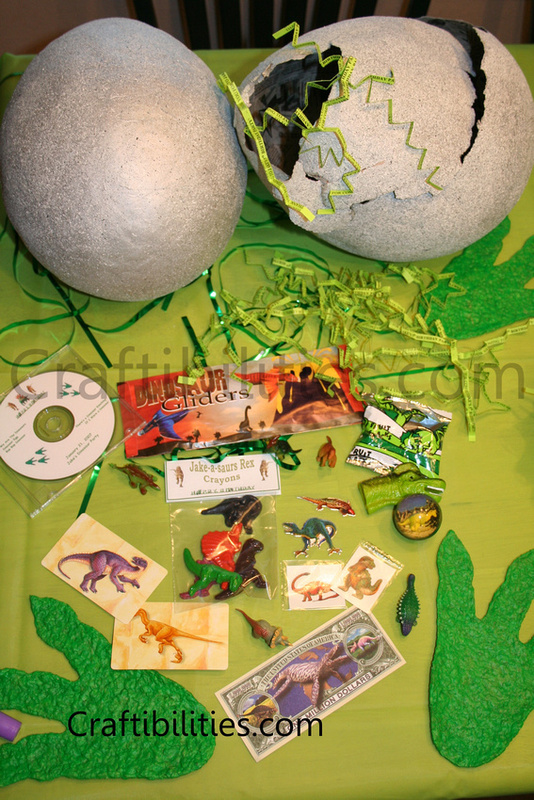 Check back soon for my post on more dinosaur decorations, cake, 3ft volcano I erupted in the front yard plus so much more!